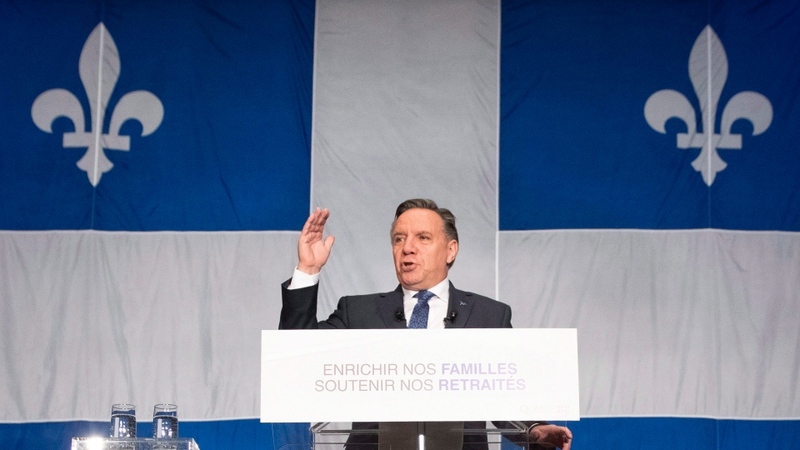 QUEBEC - The new Coalition Avenir Quebec government says it will cut immigration to the province by roughly 20 cent next year. Immigration Minister Simon Jolin-Barrette tabled the plan in the legislature today, following through on one of the Coalition's most contentious campaign promises. Liberal immigration critic Dominique Anglade is questioning how the government expects to fill empty jobs if fewer immigrants are accepted. Annual immigration will drop to about 40,000 from about 50,000 this year. Jolin-Barrette says the government is acting on a clear mandate received in the Oct. 1 election. He says the cuts will allow the province to better integrate newcomers. The plan drew criticism from Prime Minister Justin Trudeau before it was even made official. He said in Ottawa that he doesn't think it is the time for Quebec to be reducing immigration when employers are complaining of labour shortages.